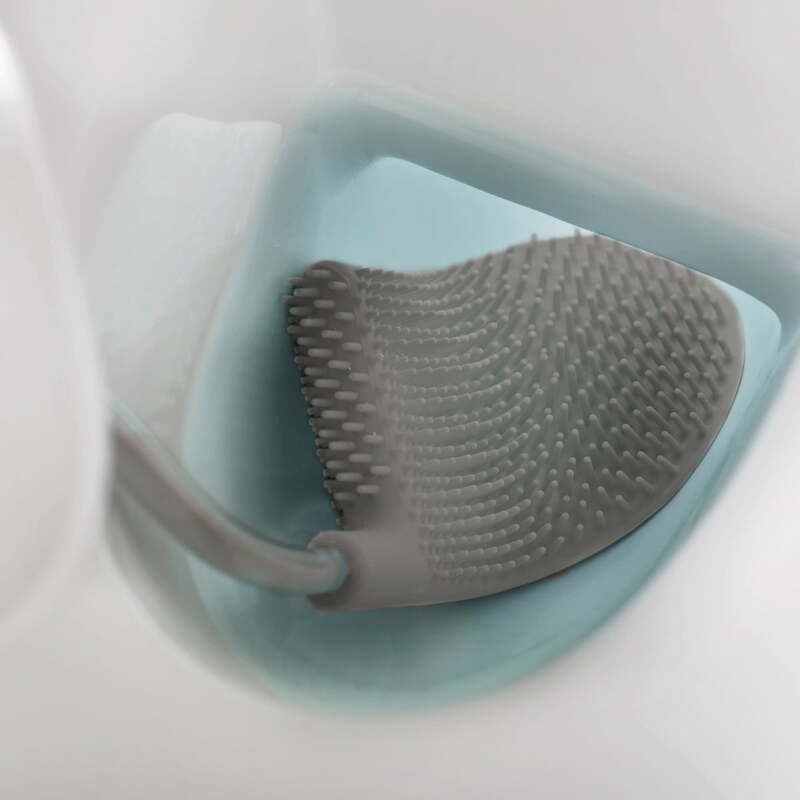 The Flex Steel toilet brush by Joseph Joseph convinces with its unique flexible brush head, which cleans the toilet effectively and reliably. Unlike conventional toilet brushes, the Flex Steel also accesses hard-to-reach places and cleans under the edge thanks to its special shape. The Flex Steel toilet brush features a D-shaped plastic head with fine brushes on the top and bottom. Due to the short bristles, no dirt remains on the head and water can easily drain off the head, so that unpleasant dripping is prevented. 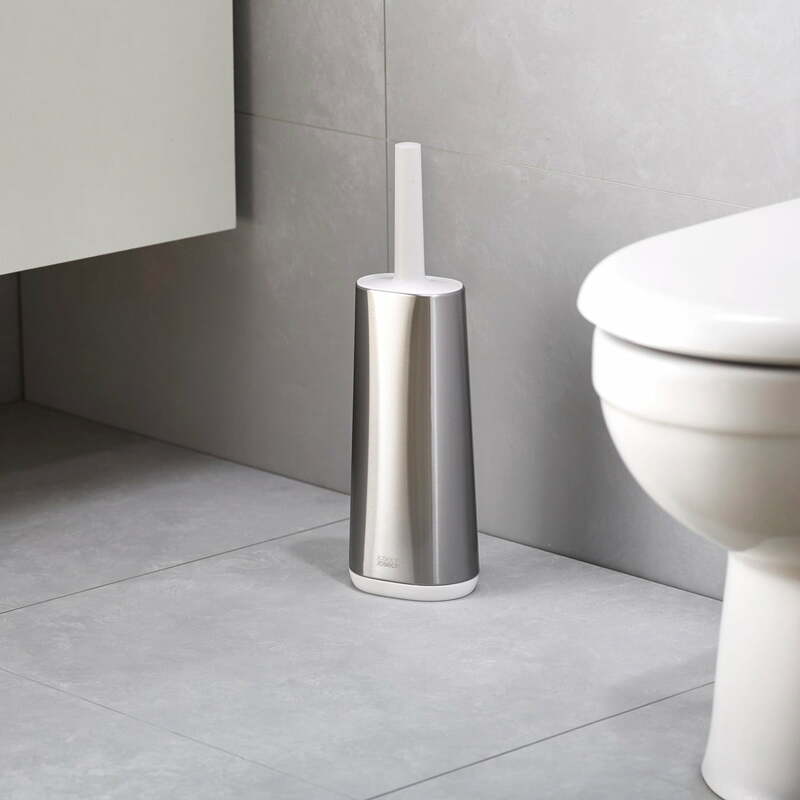 The holder of the Flex Steel toilet brush is made of stainless steel, is fingerprint-proof and fits perfectly into any bathroom ambience due to its elegant appearance. 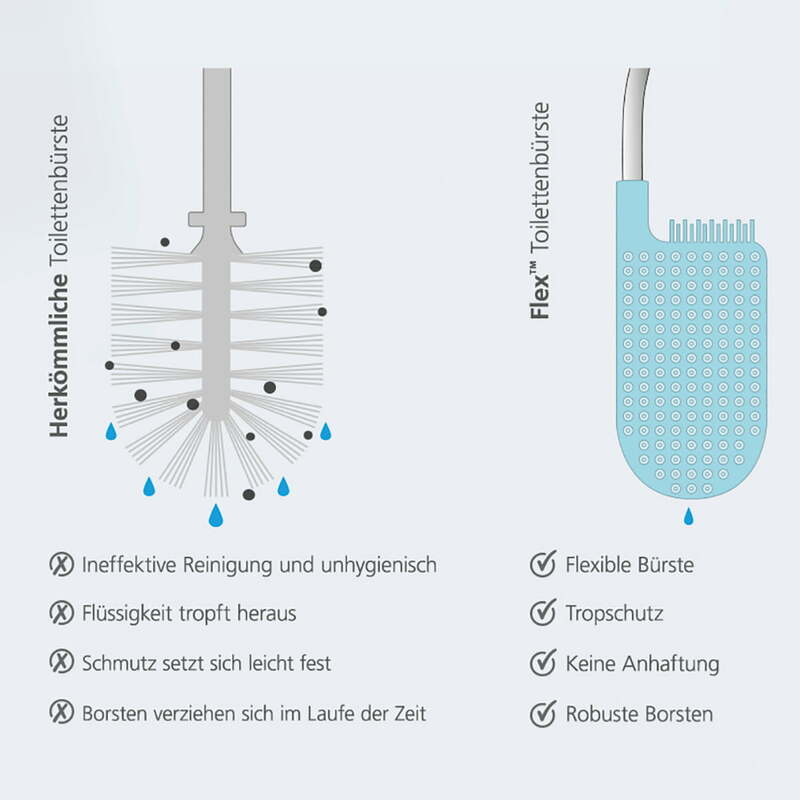 The Flex Steel toilet brush by Joseph Joseph convinces with its unique flexible brush head, which cleans the toilet effectively and reliably. 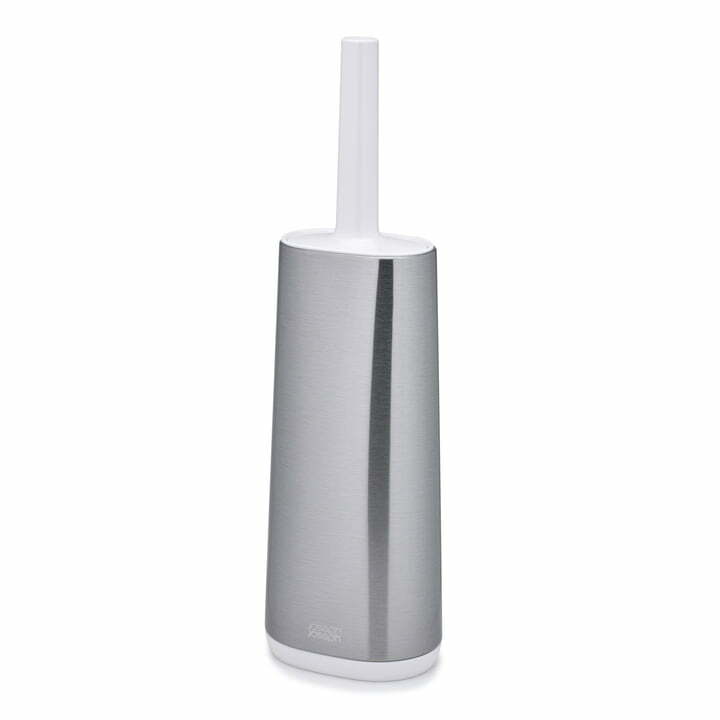 Flex Steel Toilet Brush, stainless steel / white: The Flex Steel toilet brush by Joseph Joseph convinces with its unique flexible brush head, which cleans the toilet effectively and reliably.